The year is 1918, 1968, and 2018, and three Noras stand in the doorway to their homes ready to tell Ibsen’s classic tale. 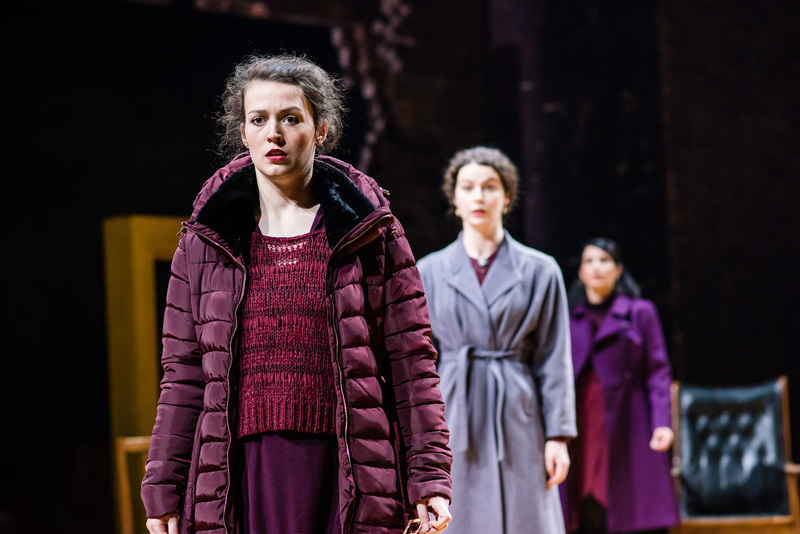 As part of their women season, Citizens theatre took on the Ibsen classic A Doll’s House: a play about a woman keeping a big secret to help her family. After fraudulently borrowing money under her dad’s name during a time when her husband was unable to function due to depression, Nora was able to keep her family together. However, as her secret begins to unravel and cause chaos, we witness Nora on her journey of self-discovery as she finally realises she is a human being and in charge of her own life, and refuses to be a doll in a doll’s house. Taking this play, director Elizabeth Freestone wonderfully acknowledges the battles women have faced over the last century. From the end of WW1 and the suffrage movement allowing women to vote for the first time. To legalising abortions, introducing the contraceptive pill and abolishing laws against homosexuality, whilst poignantly nodding heads at the invisibility of queer women in the 60s. The story arch of our Nora was headed by a woman in 2018 who lived on the poverty line and with an abusive husband. The three Noras also take on the role of an old friend Christine; the characters were distinguished between the colours green (for Christine) and purple (for Nora). The outstanding performances stole the show as they each embodied what it meant to be two separate women living in that time frame. It was the ending, however, that I would recommend seeing the play for. Those familiar with the original text will remember the iconic door slam at the end, but writer Stef Smith went further and told Nora’s story after leaving her house. There will be no spoilers in this review, but the three Noras went through something different beyond the door to her house and all three remind you that there is still an ongoing battle for equality for all.